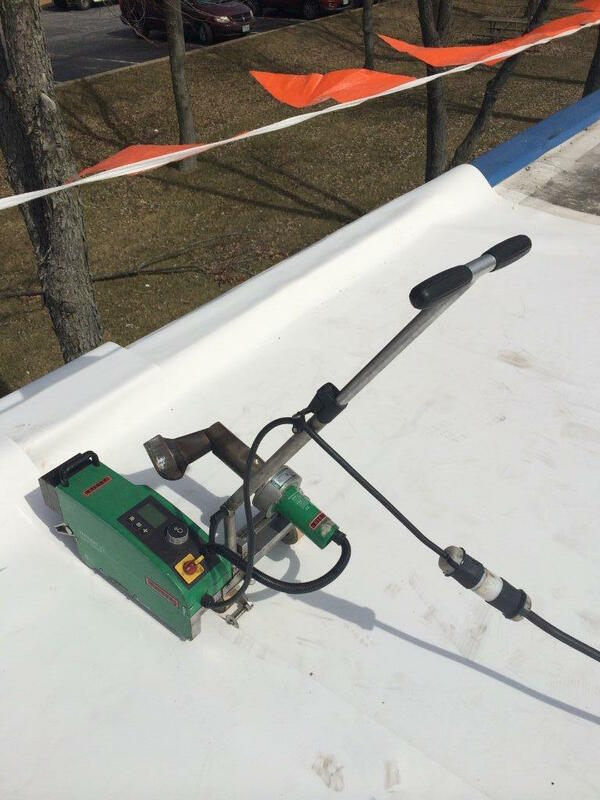 TPO roofs are quickly taking over the low-slope roofing industry due to their strength, durability, ease of application, and their environmentally green qualities. 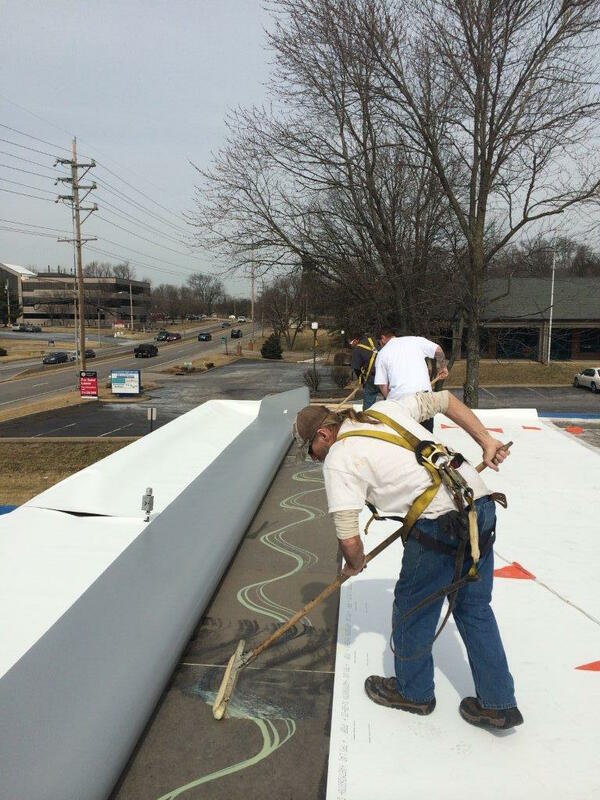 TPO roofing systems are available in 45, 60, and 80 mil thickness. TPO systems can be totally adhered using adhesives, mechanically fastened, or mopped down with hot asphalt. These roofs come in 10, 15, 20, or even 30 year warranties. All conduit penetrations receive four inch pre-formed "Pitch Pans" filled with expandable pourable sealant. The "Leister" seam heat welding machine fuses the field seams together without the use of glues or tapes creating a more secure attachment. 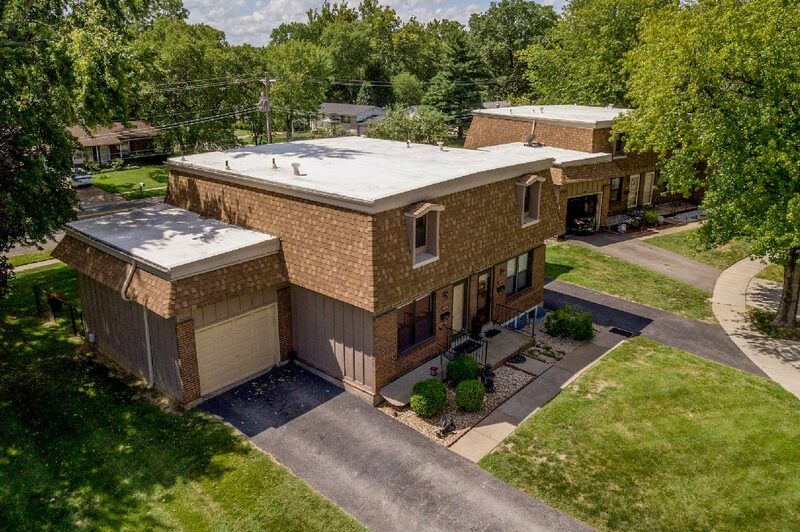 Totally Adhered TPO Roofing System. Both surfaces (Insulation + TPO) receive an application of bonding adhesive. 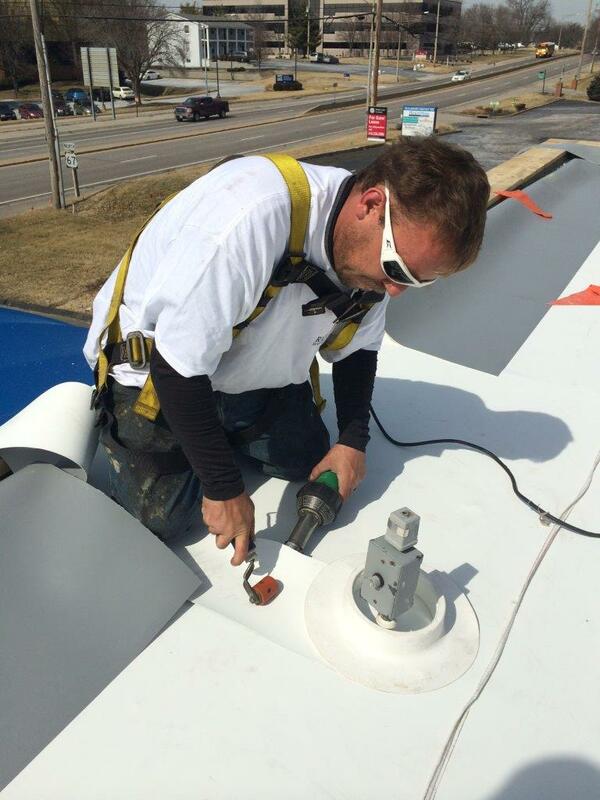 Richards Roofing uses the Tried and True built up roofing system. Roofing systems come with 10, 12, 15, or 20 year warranties. Built-up roofs can be applied with a surface coat of asphalt, gravel, or an aluminum coating application. Modified Bitumen Roofs are durable products manufactured with a combination of asphalt, rubber, or plastic bi-products laminating a polyester or fiberglass mat. They are applied with asphalt by mopping or cold applied adhesives. Surfaces can be smooth (black), coated with aluminum coating or granule surfaced with white, black, or tan colors (various manufactures offer a variety of different colors.) These roofing systems come with 10, 12, 15, and 20 year warranties. EPDM roofs (rubber) come in a 45, 60, or 80 mil thickness. They are applied loose-laid with ballast rock, totally adhered with adhesives, or mechanically fastened. EPDM roofs come with 10, 15, or 20 year warranties. The colors available are white or black. 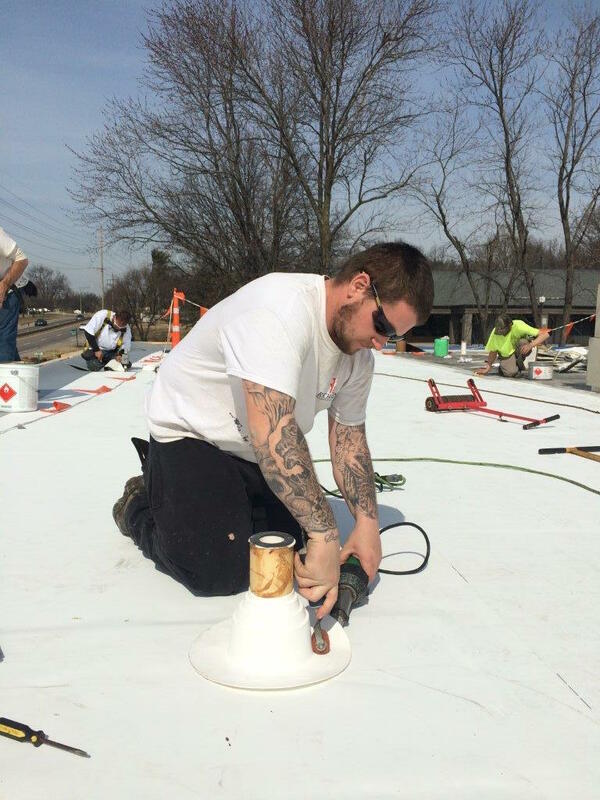 Richards Roofing and Exteriors can provide commercial and industrial low slope roof maintenance programs. Maintenance procedures include periodic visual inspections and general maintenance repairs. 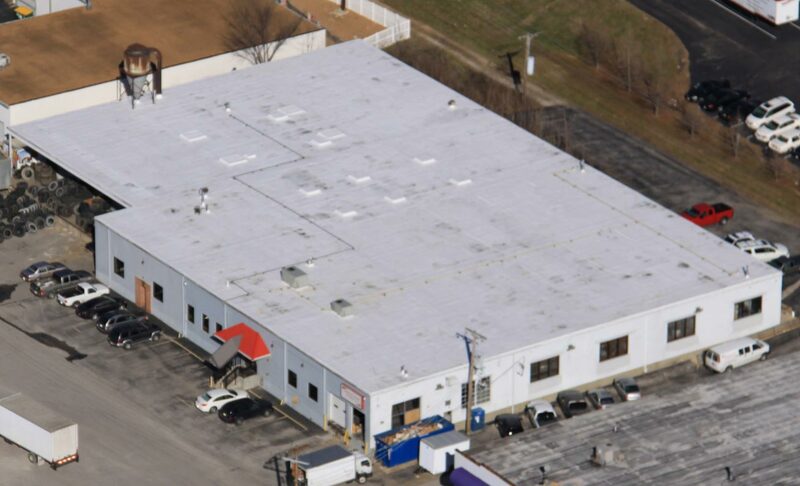 RRE fabricates our own commercial gutters in a totally-equipped sheet metal shop. We offer galvanized, paint-grip, or pre-painted with a Kynar finish in a multitude of colors. Copper gutters are also available for commercial application. Richards Roofing and Exteriors can install a wide variety of quality skylight products, on shingle, sloped roofs as well as flat, commercial roofs.